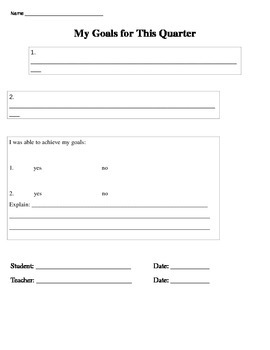 Students use this sheet to explain two goals they have for themselves during a 9 weeks. At the end of the quarter, the students revisit their sheet and explain whether or not they achieved their two goals. The teacher and student may conference and both must sign off on the sheet.